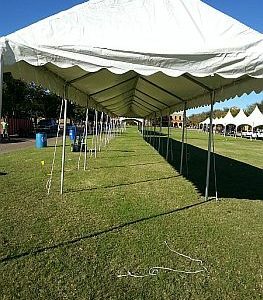 Our 10 foot wide frame tents are absolutely BEAUTIFUL! 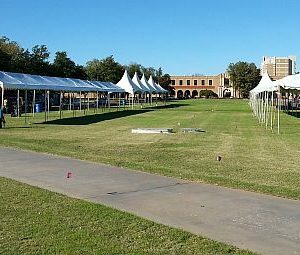 As with all of our tents there will be no poles in the middle supporting the top so you get to use 100% of your floor space. 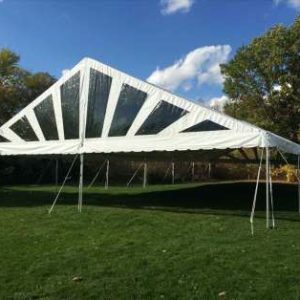 Normal pricing quoted is for a 1-3 day rental, the setup and tear down time does not cut into your rental time. 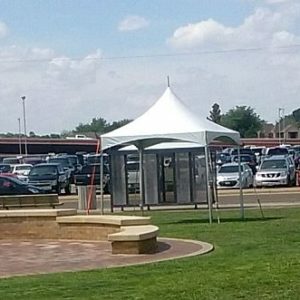 Normally for a weekend rental delivery will be on Thursday and pickup on Monday. 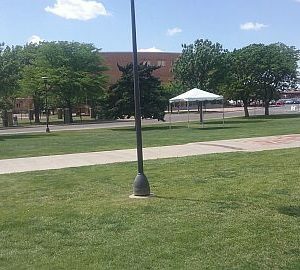 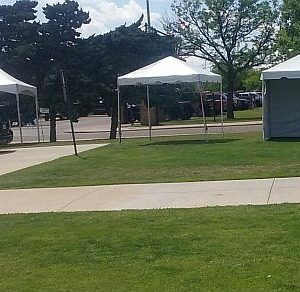 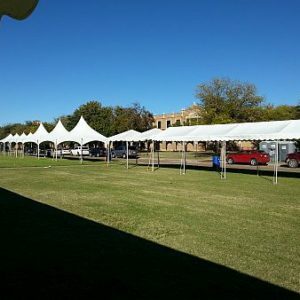 Tents larger than 10×20 will consist of multiple tents set side by side – custom shapes such as T’s. 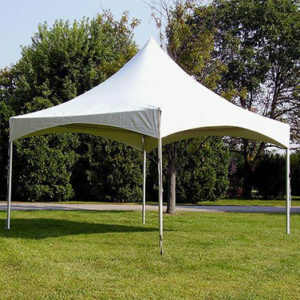 L’s and U’s can also be created with multiple tent configurations. 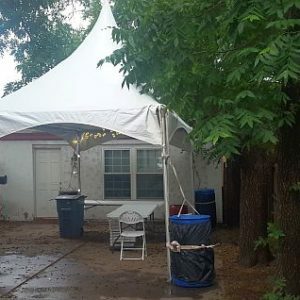 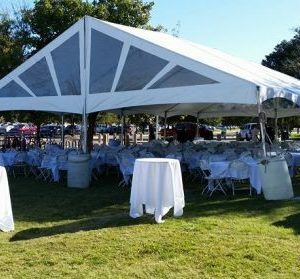 Spoil Me Rotten Party Rentals offers tents of all sizes for events large or small – From Floor to Ceiling – We’ve got you covered! 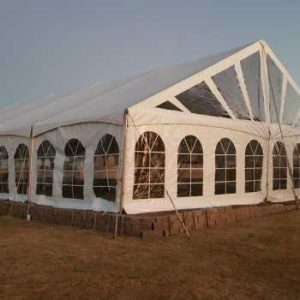 Windows The Cathedral Window design of these sidewalls allows for plenty of outside lighting while adding a touch of elegance to your event. 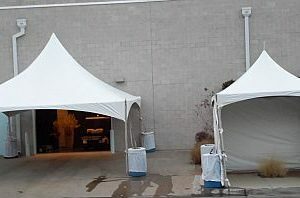 Blank Blank sidewalls are perfect for hiding that ugly barn or wall or just for blocking light.